While the wonder material graphene continues to come under pressure from other two-dimensional materials in electronics applications, it has continued to build up applications far afield from electronics. One of the applications that has opened up over the last year is rustproofing. In May of this year, researchers from the University of Buffalo demonstrated that they could use graphene in rustproofing steel. 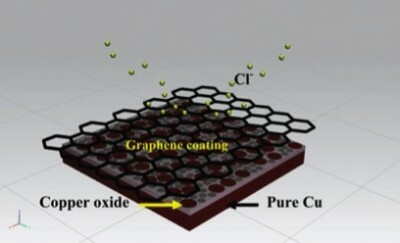 Now researchers at Monash University in Australia and Rice University in the USA have used graphene to rustproof copper.